The RMSA is proud of the fact that it pioneered the U-4 program in the state of Colorado. This program is for children who are between the age of 3 and 4 years old. It is a special program with a curriculum designed to introduce toddlers to the sport of soccer. It is all about having fun and falling in love with the sport. They practice once a week and play their games (8) on Saturday mornings at the Aurora Sports Park. Parents are encouraged to participate and have fun with the kids during practices. 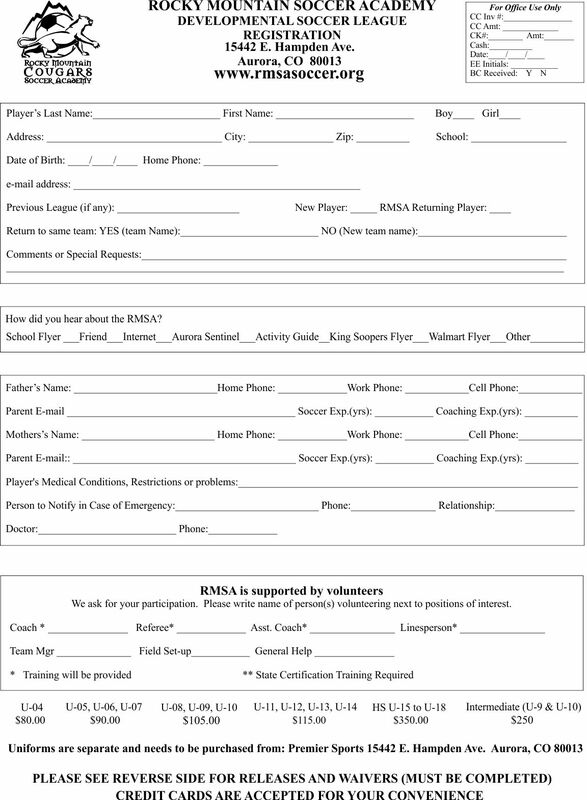 This program is designed for the kids to have fun and also teach the fundamental basics of Brazilian Soccer Style. This program will increase the players confidence with the ball and develop a passion for the game. This is accomplished by having many touches on the ball, a fun instructional environment and a staff of volunteer coaches that have been trained to teach this program. The program is designed to challenge the players to develop soccer skills, and to also know why the skills are necessary and how to apply them in the game. The players will also start to develop small group and team playing tactics. This program starts to develop players for the competitive program. There is a greater demand on the players both mentally and physically as more advanced methods are introduced. These players will have a well trained staff and age appropriate activities to guarantee player development for higher levels of the game.